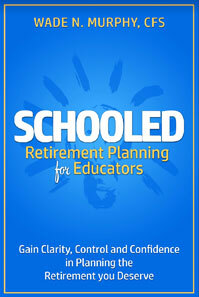 copy of the book "schooled"
Send me a copy of Schooled – Retirement planning for Educators. Securities and investment advisory services offered through GWN Securities, Inc., a registered Broker/Dealer and Investment Advisor. Member FINRA & SIPC. 11440 N. Jog Road, Palm Beach Gardens, FL., 33418. (561) 472-2700. Envision Financial Group, Inc. and GWN Securities, Inc. are non-affiliated companies.